The left’s pandering to third-world immigrants and not demanding English as the national language, allegiance to the Flag and assimilation to America’s Judeo-Christian values is a subversive and traitorous act against the security of the United States and has long been part of their agenda to bring the country down. The fact that all the politicians are silent when the American Flag is desecrated while the BEST of America defends their freedoms, is spitting on our Veterans. The disgust I feel is strong for the drug-addicted, co-dependent 60s peace-nicks from the lost generation who are now in in the halls of Government and Education and who are leading to the destruction of America. What happened in San Jose is more than just a near riot — it is what America is going to see happen more and more. The non-assimilating multiculturalism that has been engendered by the “Intelligentsia in Education” has given rise to the exact thing we were warned against in the 50s, that saw its head rise in the 60s, and the effects of which we are now experiencing. 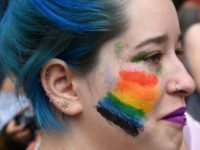 Our universities are no longer institutions of higher education, but subversive indoctrination. Even in our elementary schools, children are being indoctrinated, slowly boiled alive. Well, my dear friends, I fear that the way our country is going in the not-too-distant future we will become KOSOVO RISING — split open by our ethnic differences, no longer united by our common love and respect for America. 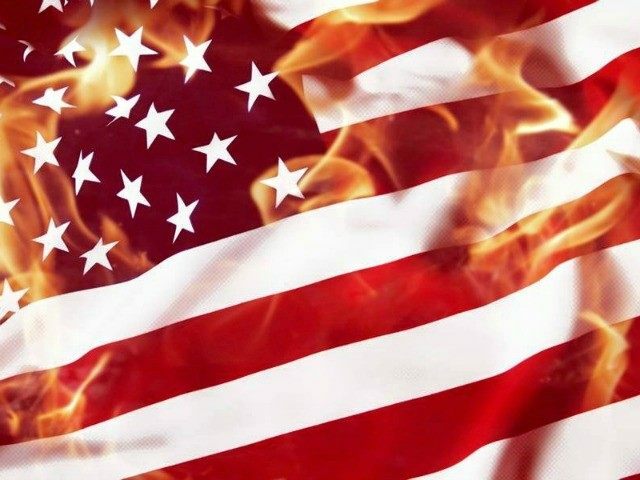 Not one of our politicians or pundits seem to be outraged by the continual burning of the American flag in the USA, and none call for its reclassification as a criminal offense. I remember as a young boy the ceremony and care my father would take in handling the American Flag while putting it up on the flagpole in our front yard. The Honor and Respect we were taught for it in school. There were less killings and violence in the schools and streets back then. The Blood of American Men and Women are in the Flag. It is NOT an act of FREE SPEECH to burn and Desecrate the flag, it is subversive ACTION and should be prosecuted as such. Next they will say burning down a church, synagogue or mosque is free speech. If one’s religion is protected in America, it makes no sense to me that the Flag — which represents an ideal, a nation and its people be guaranteed respect. When we have politicians going around the world saying America is not exceptional. and propagating disrespect for law and order, we will have anarchy of the stupid. At one time, the burning of the flag was considered a crime, but a Supreme Court decision in 1989 stated that it was “Symbolic Speech.” I vehemently disagree and suggest that in the 5-4 decision, only Justice Stevens’s dissent — which argued that “the flag’s unique statue as a symbol of national unity outweighed ‘symbolic speech’ concerns and therefore, the government could lawfully prohibit flag burning” — was the right one, and I agree with it. Even wild dogs can bark, but when they start to bite, they are a danger. Actions are Actions, not speech. No matter what grievance one has, it does not call for burning the flag. It is a cowardly, pathetic act and those that do it should be deported, if they are not citizens, or publicly shamed, if they are. I wish to God I had the money to fight this battle for our Nation and those that still refuse to see the desecration of the FLAG as a National Security issue. Our only recourse is in the voting booth. I leave you with a statement by Justice Stevens, who was himself a World War II veteran.